The following photo story was shared by Vijay Sankaran. 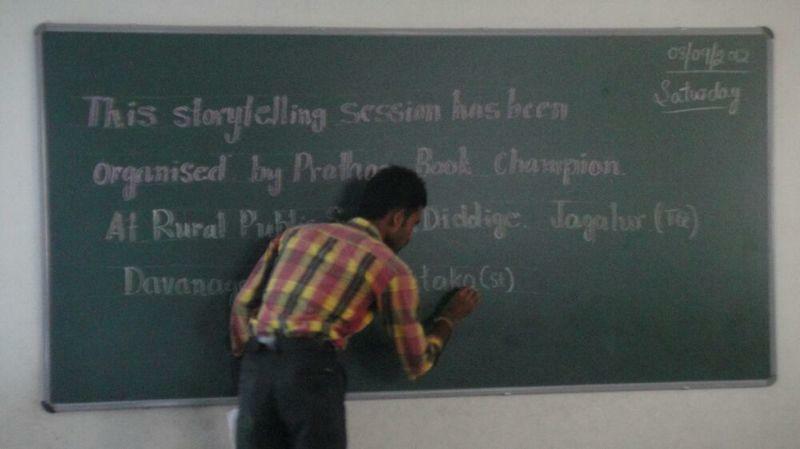 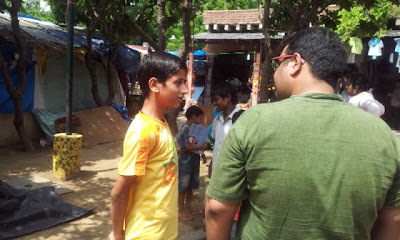 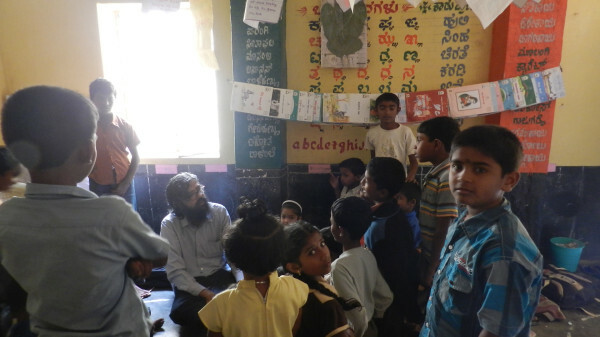 The storytelling session was conducted at Bal Jeevan. 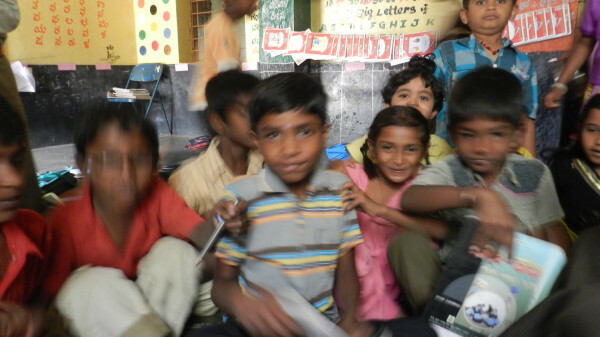 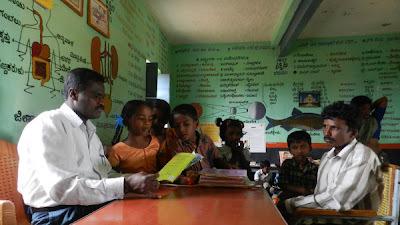 Thank you Vijay, Malati and Bal Jeevan for spreading the joy of reading! 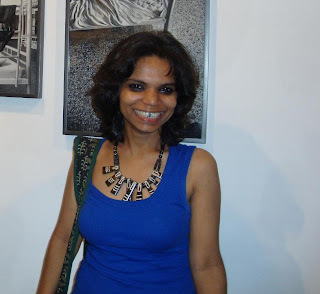 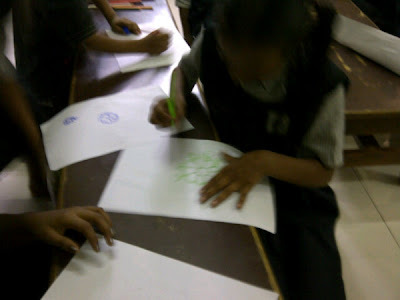 The following photo story was sent by Roshan Rathod. 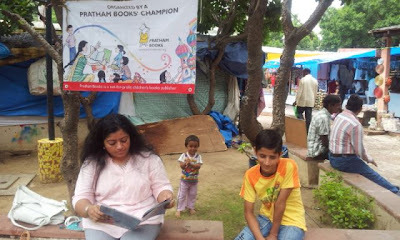 Thank you Roshan for spreading the joy of reading! 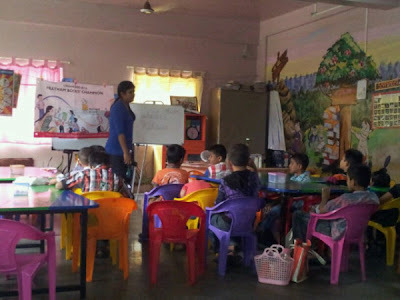 This photo story was shared by Meera Damji. 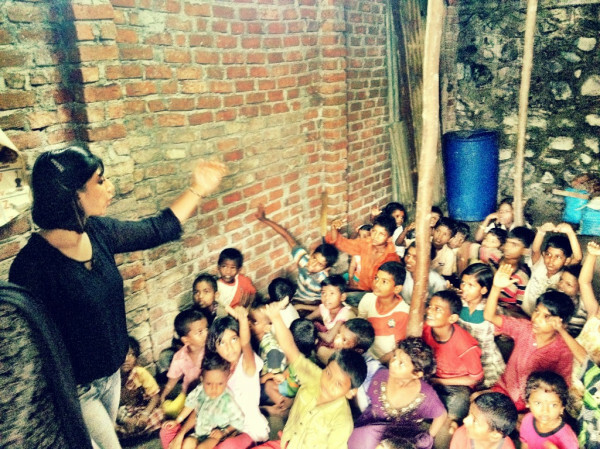 The school Meera chose is a school by the railway tracks of Goregaon station. 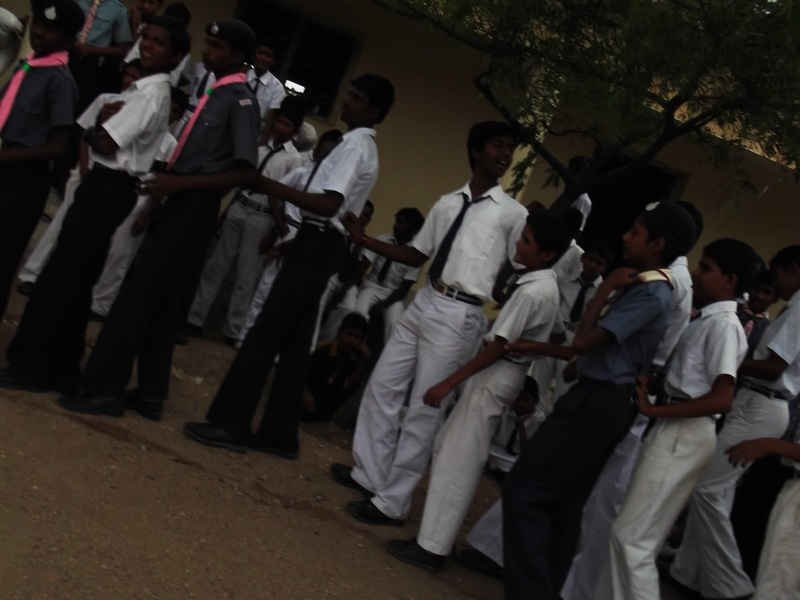 You have to cross the tracks to get there, there’s no other way. These children live in the slums by the tracks and were most creative when asked where else would they like to make kolams. 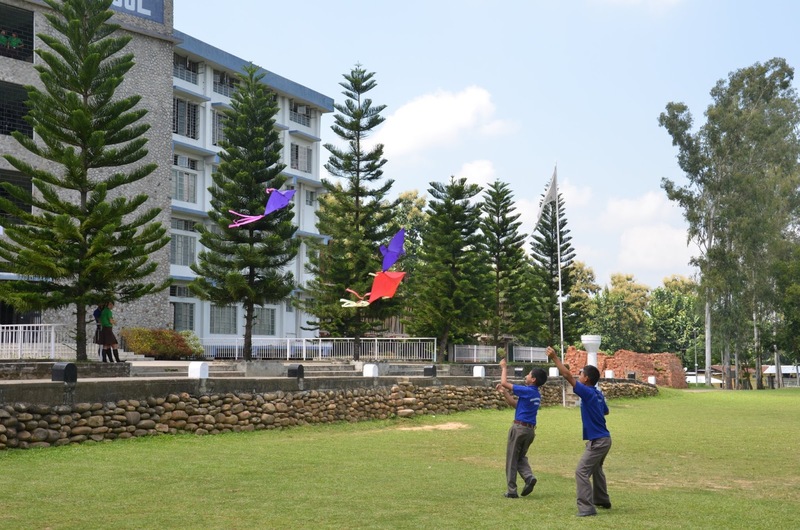 The sky was the favourite. 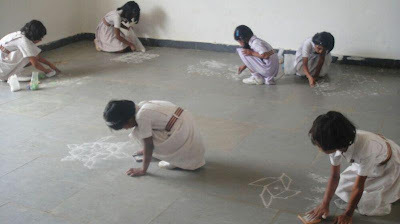 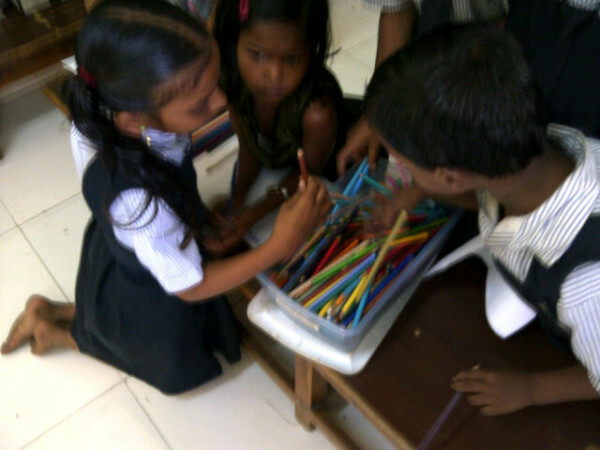 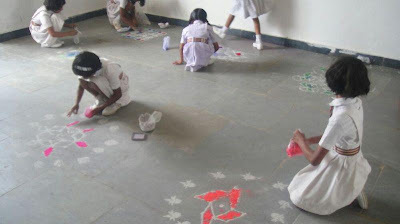 They were air drawing their kolams in the skies. 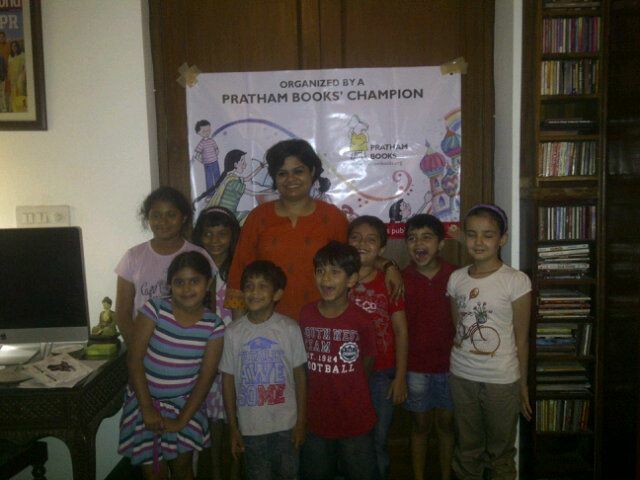 Thank you Meera for spreading the joy of reading! 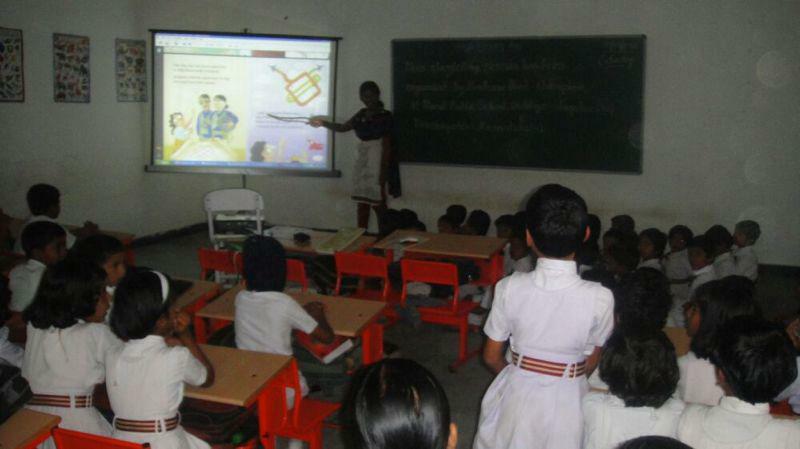 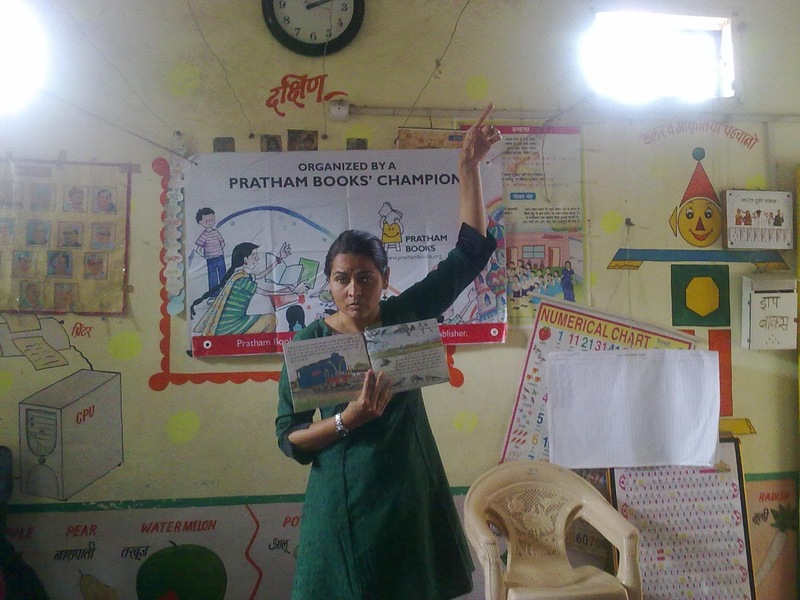 VIDYA Mumbai celebrated World Literacy Day on September 7 and 8 across all its programs in Mumbai. 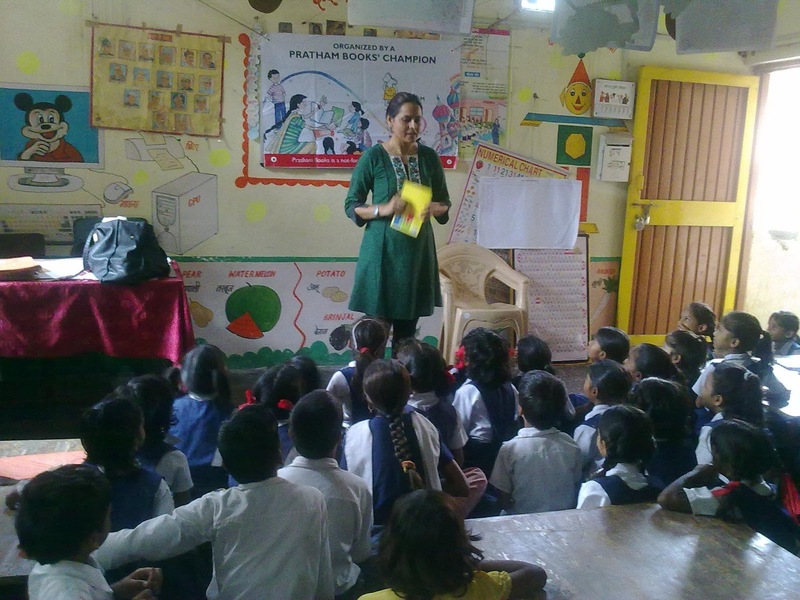 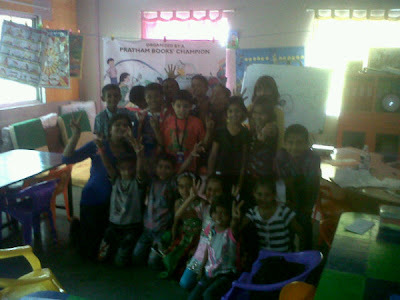 We joined hands with the Pratham Read Aloud Event to mark the ocassion. 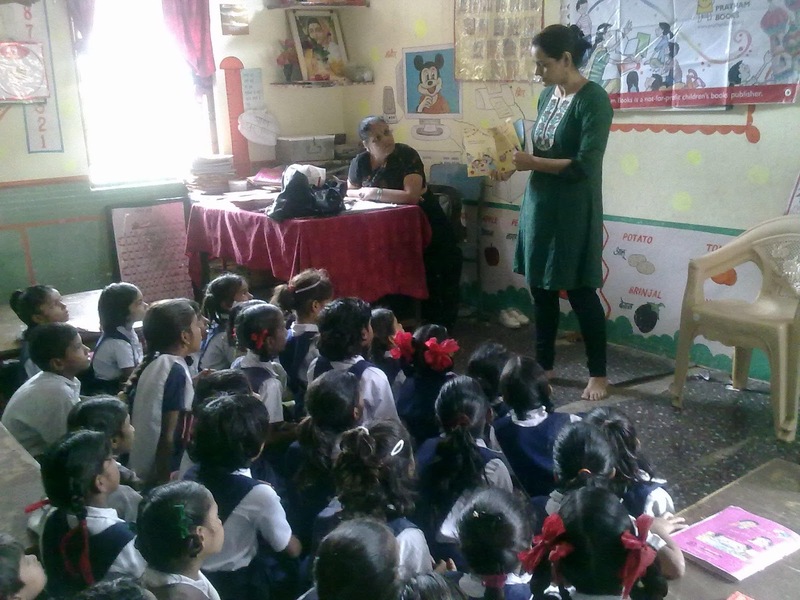 Teachers,volunteers, professionals joined 'hands' to hold up books and read in communities and in schools for the less priveleged. Often the sessions ended with children reading to the rest of their friends! Wonderful drawings emerged in response to the stories, songs and drama. 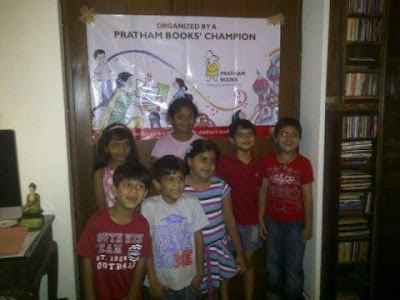 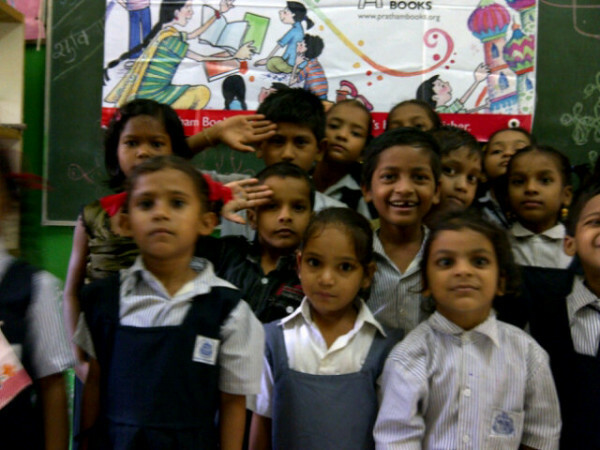 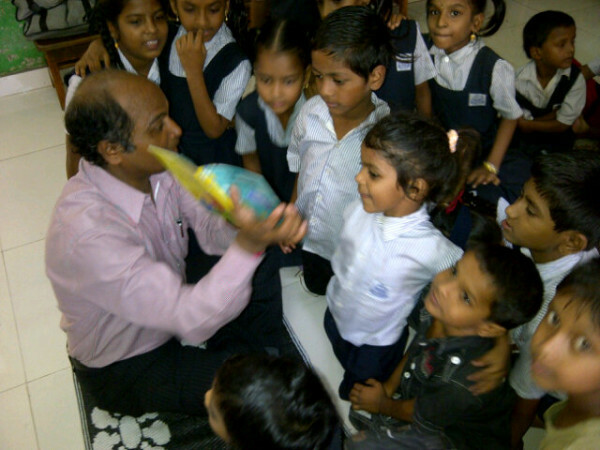 The books read at the Powai community Programs reached out to 300 number of children. 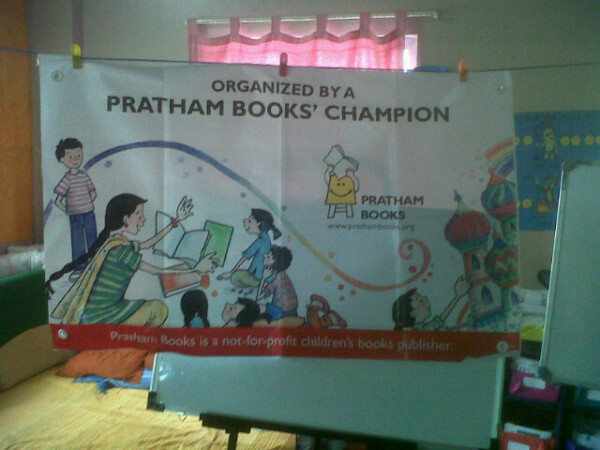 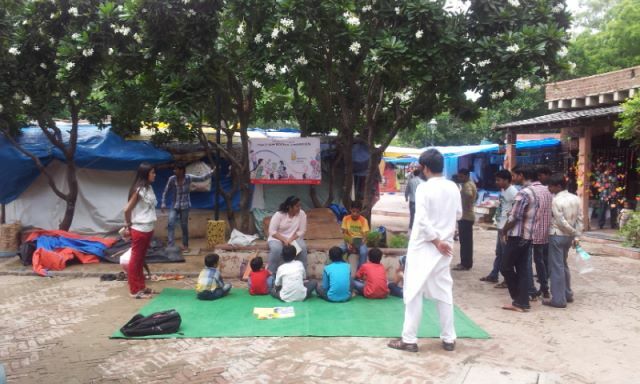 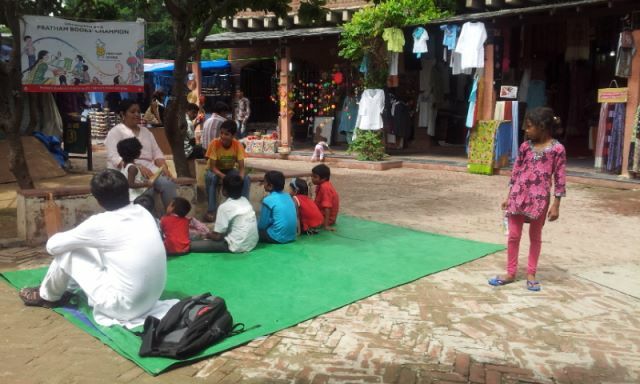 Shared Reading with the Big book and audio visual books was taken to schools in the Chaitanya Nagar Community. 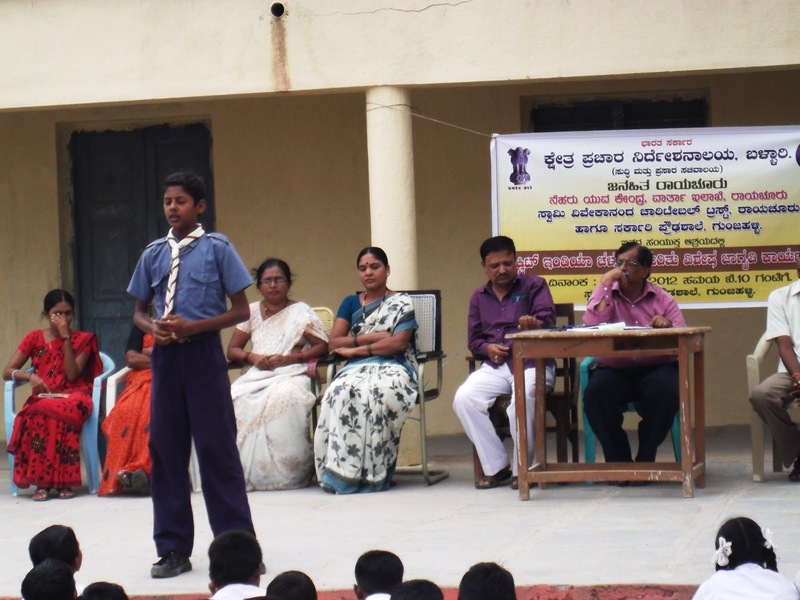 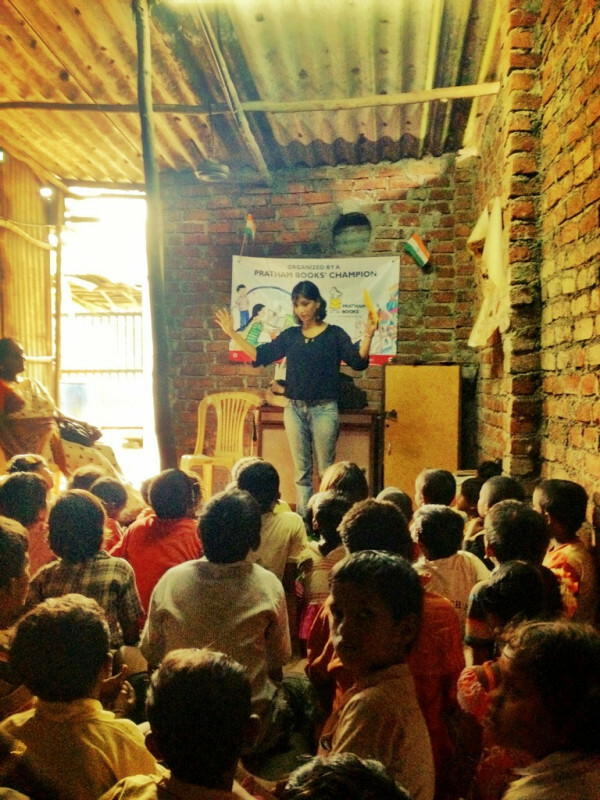 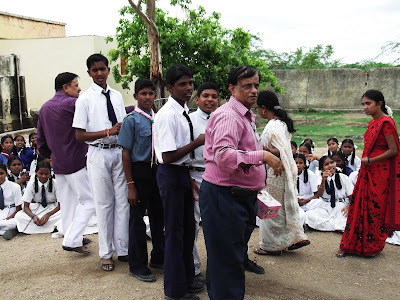 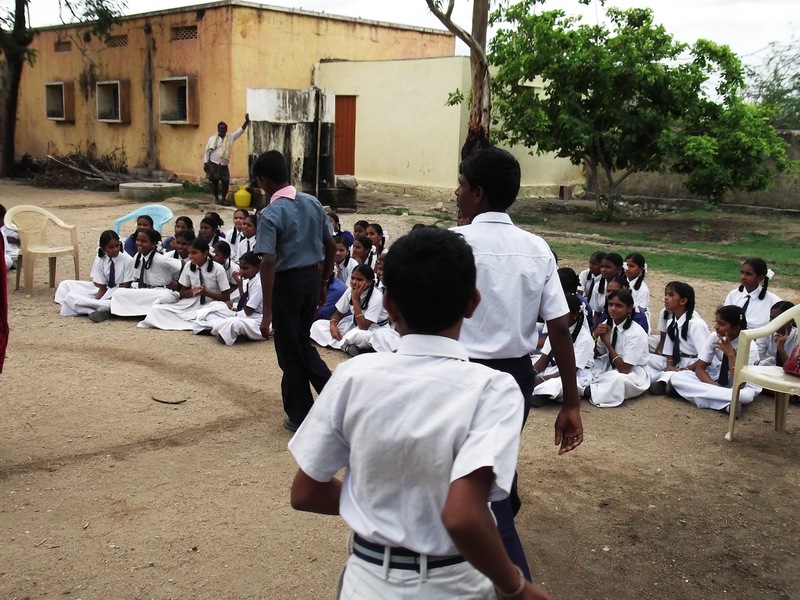 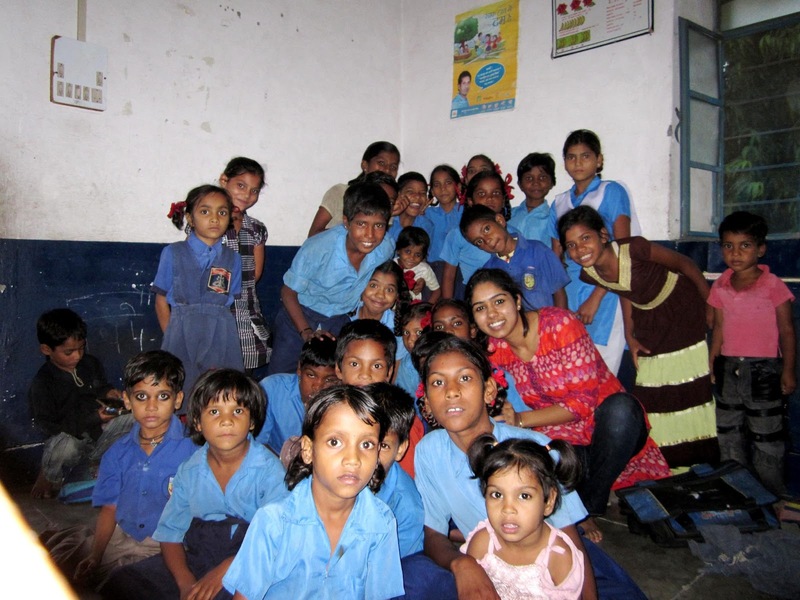 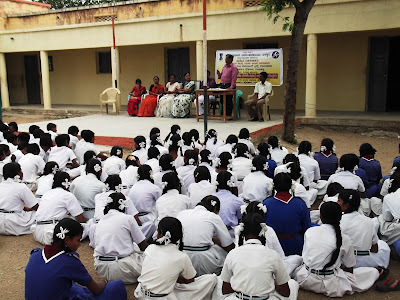 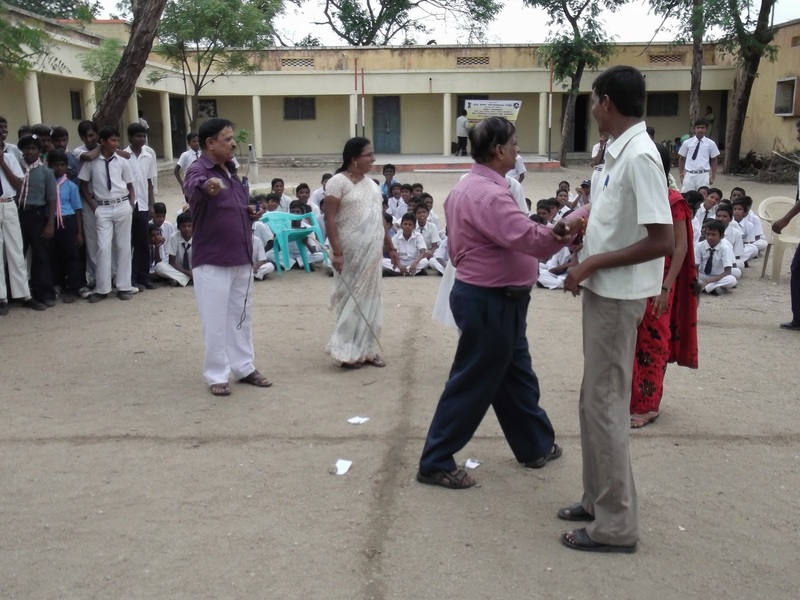 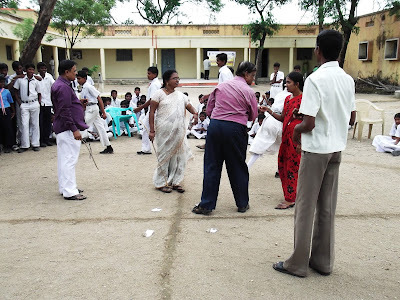 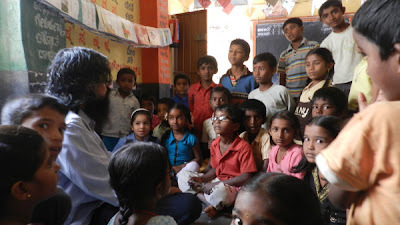 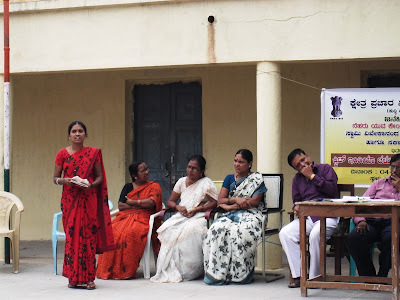 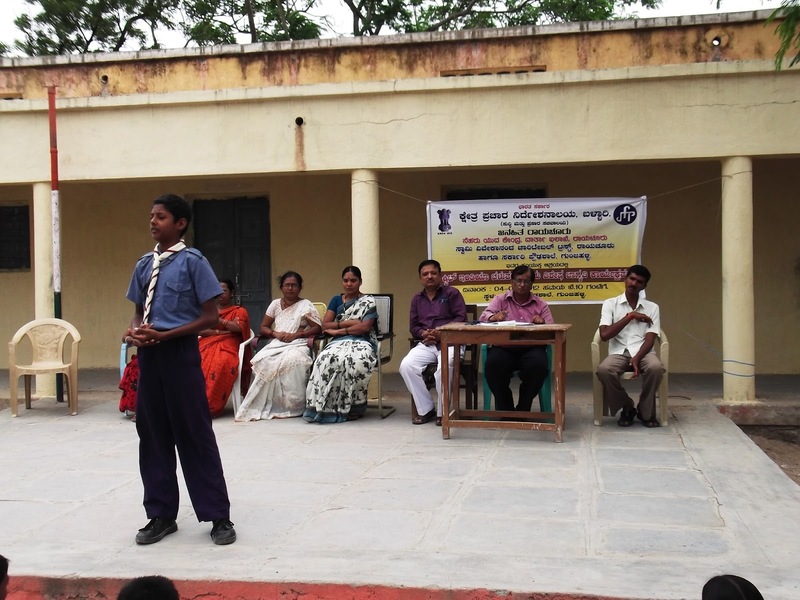 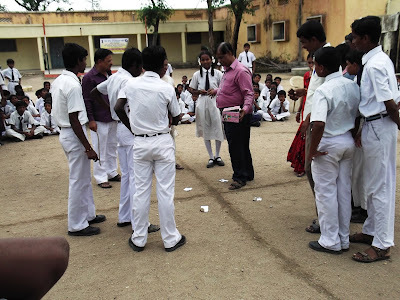 At the Bhavishya Yaan, the Read Aloud created fun and joy more than 700 children across 6 schools. 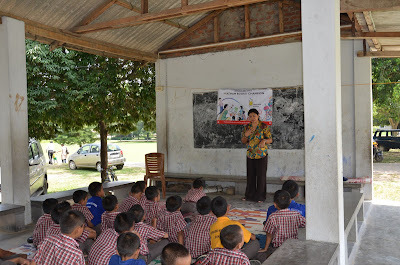 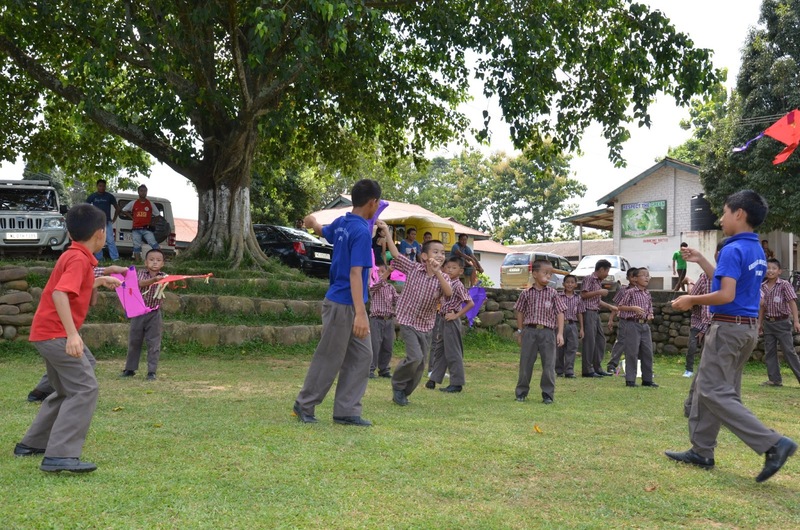 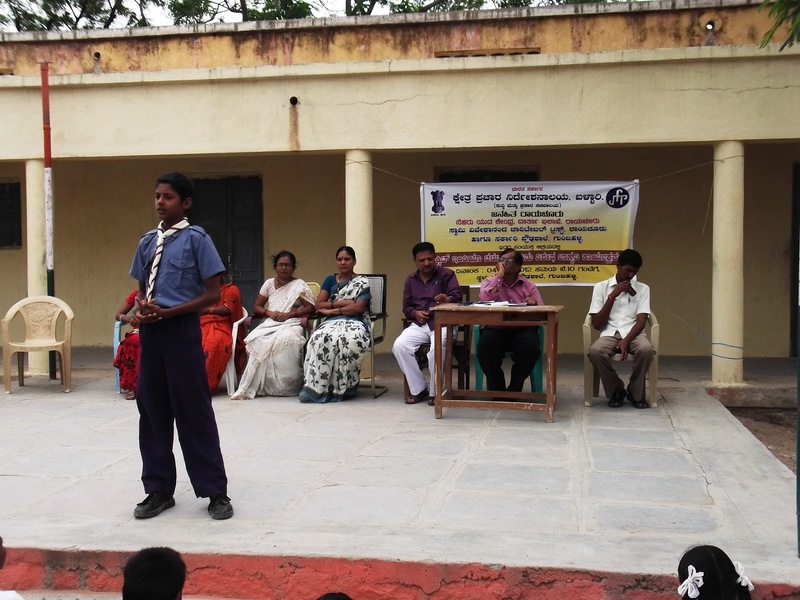 Volunteers, teachers and children participated whole heartedly in this event. 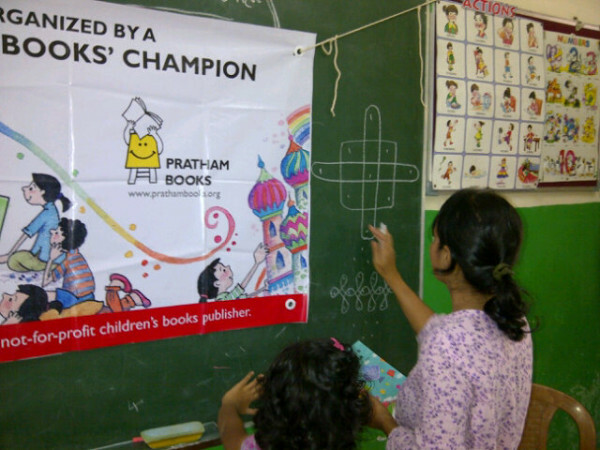 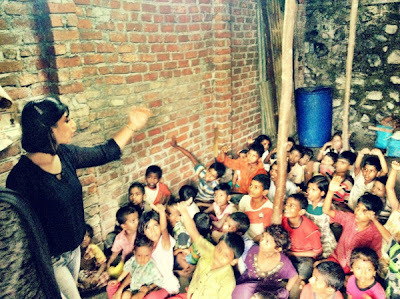 Thank you VIDYA Mumbai for spreading the joy of reading! Bano Haralu sent us this photo story. Thank you Bano for spreading the joy of reading!